Bed And Breakfast161 sq. ft. 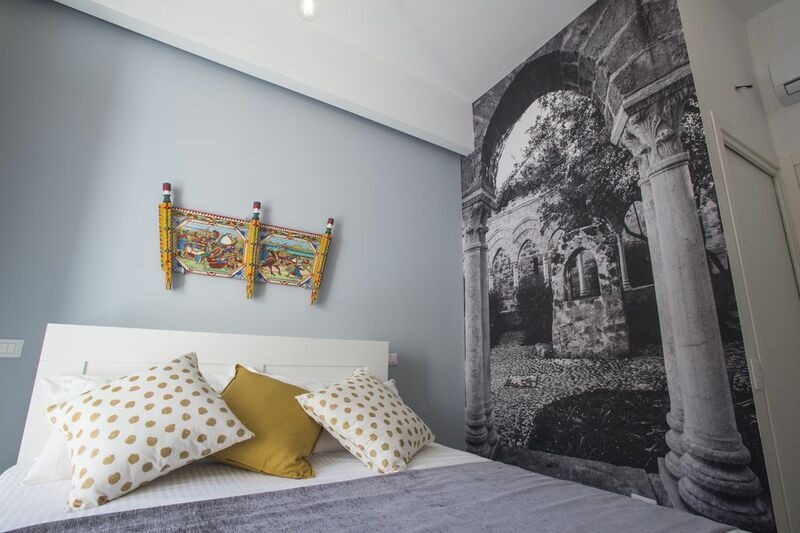 It is a very charming room, with a large mural image of the cloister of San Giovanni degli Eremiti, a UNESCO heritage of Palermo, large 16sqm, with a balcony overlooking the square. It is a double room, which can accommodate a cot or a cot if needed, ideal for a couple with a child.